Orange color. Sold by the dozen. Adult size; roughly equivalent to a men's large. Dimensions laying flat: 26"L x 22"W. Breathable and stretchable mesh; 100% polyester material. Number featured on front and back. 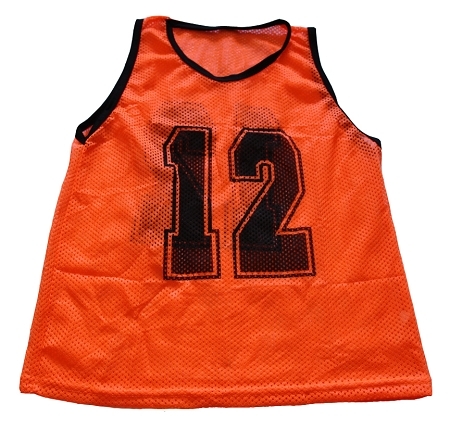 Each vest in the set has its own unique number; 1 through 12. Ideal for soccer, lacrosse, scrimmage games, basketball, football, etc.